Ceramic Coatings why are they so popular in 2018? Unlike wax, a ceramic coating brings you the following benefits and protection. It also withstands temperatures up to 1200 degrees it can even be applied to exhaust pipes. Coating your car with ceramic car coatings also gives the paint a 9H hardness (which means it makes the finish 9 X the hardness of factory paint). Best of all the Ceramic Coating increases the gloss of the paint 5 to 10 times more than wax and the gloss is so clear that it shows the depth of the paint. The average lifespan and warranty of one application vary by manufacturer. We use flight shield sapphire V1 and offer 5 years with a written warranty. 2. Wait! What About Traditional Car Wax? Let’s not forget car wax offers no protection against UV rays; environmental fall out, bugs, bird droppings. Why is this important? Have you ever wondered where those mystery small etch marks that magically show up on your paint come from? They show up because wax is not enough to protect against the acid contained in bugs and bird droppings. It becomes a real issue because some of those etchings are so deep in the clear coat that they can’t be buffed out. Wax takes about an hour to apply and cost anywhere from $100 -$200 per application. So knowing the facts about wax that would mean you need to spend $100.00 a month to keep your car waxed with little protection until you sell your car OR you can get a ceramic car coating and never wax again EVER! Paint correction involves either a 1 step or a multi-step polishing to remove any swirls or webbing. The detailer will be leveling the paint to the depth of the scratch or swirl before applying a ceramic coating. Paint correction must be done prior to coating any vehicle to get the best results. If you decide to skip this step any defect in the paint will be magnified tenfold by the ceramic coating. Generally speaking the average cost for a 1 step polish (paint correction) done by a professional certified installer will be around $250. A Multistep polish done by a skilled professional usually starts at $375+ and can go up to $600.00 for neglected cars. In severe cases hand sanding the paint and then doing a multi-step polish to remove sanding marks and bring the paint back to better than factory condition by removing factory orange peel can add anywhere from $1,300 to $1,800. No matter who you choose please make sure they are a trained professional especially if you own a black car or truck. When looking to get a coating applied to your vehicle the first thing you want to do is put on your digital detective hat on. Search for the company reviews to see if they have a constant 5-star rating or is it a mixed bag of reviews some good and some bad. We recommend that you avoid any company that does not have reviews. Best way to find out is to google their “company name reviews” Click or tap here to see our latest review. Don’t take off your detective hat off just yet your work is not done. Next step is to look for pictures or videos of the work they have done and how many of those pictures are ones taken of black cars that went through the paint correction process before putting on a ceramic coating. 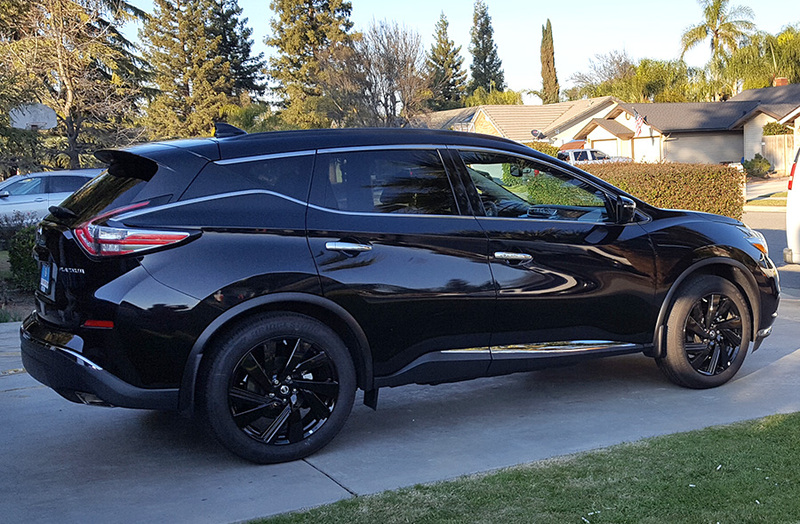 A black car is one of the toughest colors to work with when doing a ceramic car coating and paint correction and shows the full skill of the company that did the correction and the auto ceramic coating. Finally, we recommend that you call the companies and ask questions to determine if they have the knowledge and experience in paint correction and ceramic coatings you are comfortable with. Here is a list of questions that we prepared for you. What is the name of the manufacturer? Are they off the shelf coatings found online (like Amazon)? Is it a cheap knockoff brand? Do they offer a written warranty by the manufacturer? If they say yes to number 4. Ask how many years. The reason you want to ask is that some of these products may be knockoffs from China or off the shelf that were bought online from eBay or Amazon. This means they will more than likely not offer you a warranty since they do not have a relationship with the manufacturer. 5. What About Getting It Directly From The Car Dealerships? Car dealerships will offer what is referred to as a production ceramic car coating. A production coating is when a ceramic coating is improperly applied to your paint on top of all imperfections. That means not polishing all the defects out before applying the coating such as micro-scratches or swirls. You are probably thinking how much damage can really happen to a car or truck that is sitting at dealerships car lot. Most cars are just sprayed down and if they do get washed it will be with old and reused towels and brushes. Improperly washed vehicles are not so easy to spot at the moment because you might have other things on your mind like how much is this car going to cost me? Why Should You Choose Excalibur Mobile Detail To Apply Your Next Ceramic Car Coating? Let’s face it we spend a lot of time washing and waxing our car only to find out it starts losing its shine and swirl marks start appearing over time. What if there was a better way? Well, now there is! Excalibur Mobile Detail has the answer Sapphire V1. We will do a complete walkthrough with you and go over how much paint correction is needed. We also offer optional items such as Rims; Window; plastic trim. We will only apply coatings if your vehicle paint is properly corrected and free of any imperfections and defects.